Ask a Houstonian, “Would you rather go to a Starbucks for coffee near me or head to Shipley Do-Nuts?” and a lot of them would answer the latter! Though Starbucks is an incredible coffee chain, there are many reasons why people like Shipley coffee better. For starters, Shipley Do-Nuts is a friendly neighborhood café, not a corporate establishment. It offers fresh donuts, kolaches, and beignets 24×7, gives you great discounts with coupons, and serves everything with a smile! When you find yourself in a dilemma and can’t decide on your go-to coffee shop, think of these reasons why Shipley is better! Many Starbucks customers often complain of stale coffee. Most outlets use old roasted beans. But not Shipley. At Shipley, we always brew our coffee fresh. You should consume coffee within 15 days of roast or else the taste quality takes a big hit. With Shipley coffee, you always get fresh brewed coffee that’s as stimulating and strong as your love for coffee. Also, Starbucks relies on sugar and cream, adding unwanted calories to your beverage. Our coffee, on the other hand, is delightful on its own and doesn’t need any extra flavorings to taste good. But if you’re craving a bit of sugar or cream, we have that on hand at all Shipley locations for your convenience. With a name that says Shipley Do-Nuts, you can’t go wrong with the donuts. 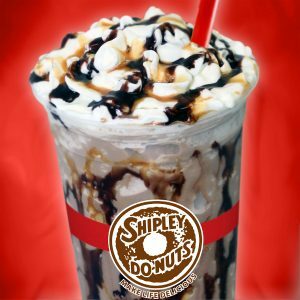 At Shipley, we prepare some of the most tempting, indulgent, and irresistible donuts for our customers. We have a wide range of donuts – from sprinkled and filled, to glazed and coated, all our donuts are exceptionally well-made and delicious. We often see kids come in to Shipley and say, “Mom, can I please have one of each variety today?” You’ll be spoiled for choices when you come in at Shipley Do-Nuts! Shipley Do-Nuts is a complete coffee shop with an expansive menu. The fresh beignets, kolaches, rolls, and sausages are a must try! We also serve value meals for kids and families, making it a great place to celebrate special occasions or corporate catering. Compared to Starbucks that has just a few food options, you’ll love our variety. We always prepare everything fresh for you! Shipley Do-Nuts heard your wish! 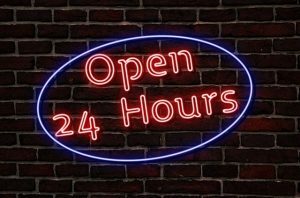 Our coffee shop is open 24×7 at Westheimer Road in Houston. You can drive through or place an order online and we’ll ensure that you get your coffee, no matter where you are! Compared to the corporate setup of Starbucks, Shipley coffee is all about creating a warm and friendly atmosphere. Our staff knows our customers. We do our best to ensure that you have a great time, every time you come in. Families operate both our outlets in Houston and we go the extra mile to become your favorite coffee shop. You can come in every day and hang out with your buddies. Feel great about conducting business meetings while entertaining clients. Sit by yourself and celebrate the much-needed me time or solitude. Shipley customers often say, “I feel like I’m sitting at my friend’s shop, where I can be myself!” Bet you don’t feel that way in a Starbucks, right? 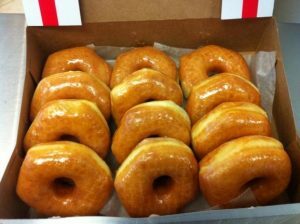 Shipley Do-Nuts also offers home delivery and catering. If you have a kid’s birthday party coming up, choose from our catering menu and guests will remember your party for its food! 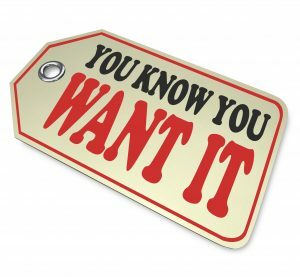 Plus, we’re reasonably priced so you won’t experience a dent in your budget by choosing Shipley coffee. So next time you want a coffee near me, try Shipley Do-Nuts and you’ll forget all about Starbucks! Get to one of Shipley’s Do-Nuts Locations Today! Want to enjoy the Shipley experience? You can get all the goodies and coffee delivered, catered, or you can stop by our two locations and pick up your favorite donuts. Call 713-589-3292 to try out our fresh coffee and gourmet delights. Visit us with your friends and family for breakfast tomorrow! ← Searching for “Coffee Near Me?” You Found It!